I recently submitted Freedom of Information (FOI) questions to various government departments to ascertain background to the decision by the National Trust to reflect Creationism within their new Giant's Causeway Visitors Centre. Whilst Department of Culture, Arts and Leisure responded detailing no information was held, Department of the Environment released one document revealing lobbying by "Causeway Creation Committee" sponsored by Dunluce Christian Fellowship. After making a compliant and raising the matter with the media Department for Enterprise, Trade and Investment (DETI) released some information which raises more questions than it answers. Whilst I am grateful that Department of Enterprise, Trade and Investment have finally released the documents requested on 8 July 2012 I am disappointed information is so heavily redacted and strangely sparse. On the basis of the information provided some serious questions do however need to be answered by the Department. Within DETI FOI response is an email dated 9 November 2009 which states “I’ve amended draft to take on board NITB comment re National Trust unwillingness to accept Creationism to be included in the exhibition , as a grant condition. Are you content for submission to be submitted? Did the previous or current DETI Minister seek to impose requirement to include Creationism as a Grant Condition? Were any contractual obligations imposed upon the National Trust to meet the needs to creationist campaigners such as Caleb? Transparency and openness in relation to this issue is urgently required. 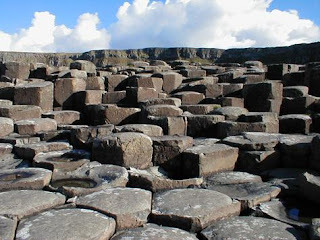 I therefore call upon DETI to clarify without delay the role played by previous and current Enterprise Ministers in relation to inclusion of Creationism within the new Giants Causeway Centre. Organisations such as Caleb should not be given any undue influence on independent organisations such as the National Trust as a result of the political inclination of government Ministers. Religion and Politics must be kept separate. The place for creationist theories is in Church not tourist attractions such as the new Giants Causeway Visitors Centre. A further Freedom of Information request has now been submitted to the NI Tourist Board to find out exactly why creationism appeared at the Visitors Centre.